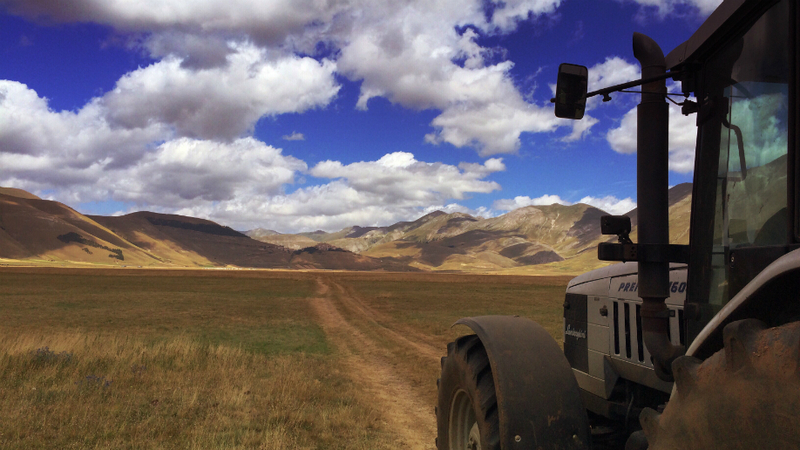 From the very beginning, mobile photography has been characterised by the use of filters made available by Instagram and found on other photographic networks, such as EyeEm and Flickr, which are a great resource to start out with. However, if you want to differentiate yourself a bit and expand your creative palette, there are apps that offer a vast array of filters and so-called textures. What is a texture and how does it differ from a filter? The artistic definition is ‘the appearance of a work of art, determined by the materials used’. Indeed, whereas a filter is a transparent image that is two-dimensionally superimposed on the initial picture, image texture is added material or three-dimensional elements, such as folds, lines or the weave of a fabric. Nearly all photograph subjects lend themselves to this editing style; it is important, however, that the starting image be very clear, in order that the final result maintain its effectiveness. The addition of filters and textures tends to darken, and may blur or smudge, the original photo, so I recommend a first step of lightening the image a bit and adding contrast – you can use any basic editing app to do this, such as Snapseed, my favourite for basic photo retouching. There are numerous iPhone apps that allow you to add filters and textures; here below, you will find those that I use most often and that I recommend to anyone wanting to perform this sort of photo editing. 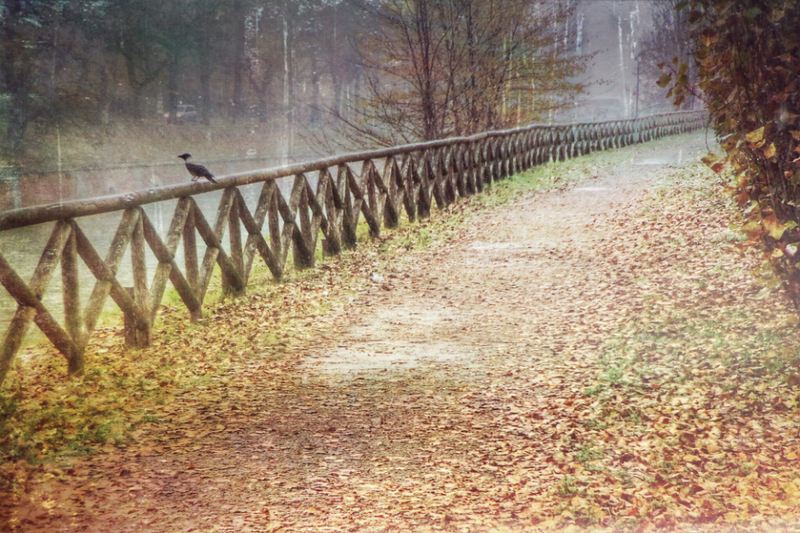 Mextures offers 9 different collections of high quality textures and filters, from lighting effects (light leaks, radiance) to “dirtying” the photo (grit and grain, grunge, emulsion), to gradients (landscape enhance and vintage gradients) – a gradient is a filter, usually of two colours, that works really well on landscapes. Mextures enables you to apply filters and textures with the intensity you desire, rotate them to get the best position and choose the image blending mode. You can apply as many textures as you like, one on top of the other, and save these personalised combinations for future use. The landscape of the photo is rendered more intense with the ‘Ice Sunrise’ gradient from the landscape enhance group; the dark sky at the top that lightens as you do down is typical of gradients. This easy-to-use app offers intense and markedly pictorial style textures; its main features are the quality and originality of the effects. You can choose up to two textures from two sets of 24 available and mix them however you like. As an in app purchase, it also gives you a set of bird images to add to your skies. This photo was created using the texture combination Half Life + Sentiment. Stackables is a powerful app rich with filters, textures and gradients that can be mixed and matched as you like to create effects made up of many levels with the application of geometric masks. Extremely powerful and configurable, it does, however, involve a steeper learning curve than the ones above; I would recommend it as a more advanced app and not as a first purchase. You also have to add the cost of the in app texture packs to the in app purchase cost. 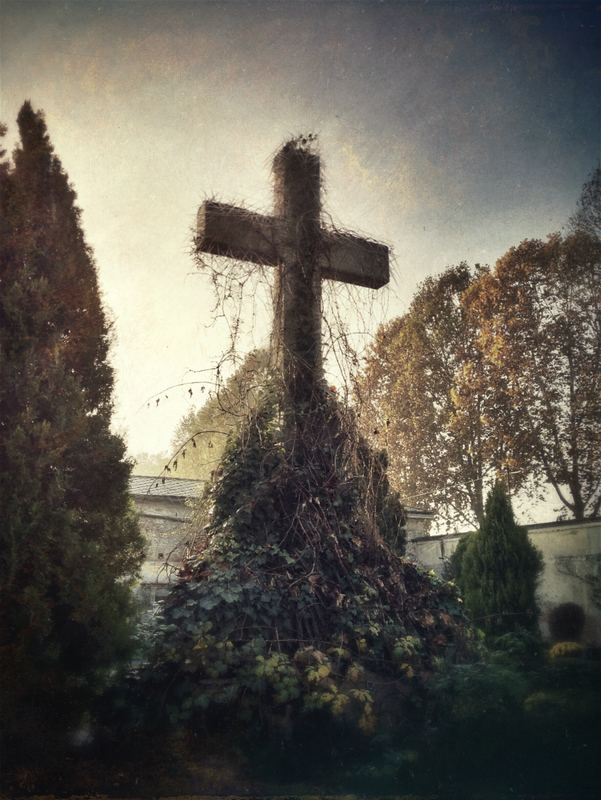 This photo of the monumental cemetery in Turin was created using 6 Stackables texture levels and masks. The most historic of the apps mentioned so far, Modern Grunge specialises in ‘grunge’ textures, i.e. dirty and aged. When you load an image, you are offered a random edit with a chromatic filter and two textures, but you can alter this by choosing filters and textures and by adjusting the intensity of each individual effect and you can also save your selections to use in future editing. 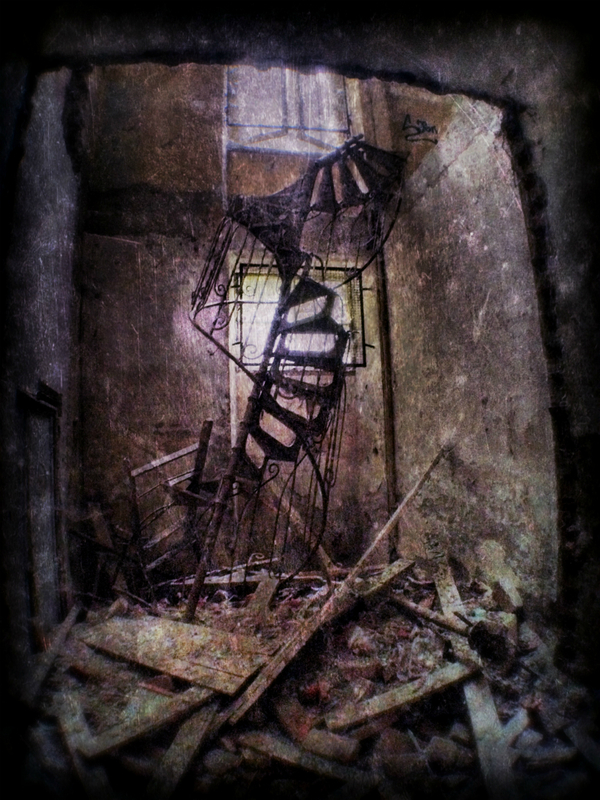 This photo of a collapsed spiral staircase was created using Modern Grunge. A texture is an image (usually a photo) that displays a fairly regular structure, such as wood grain or the tiny squares of a mosaic. 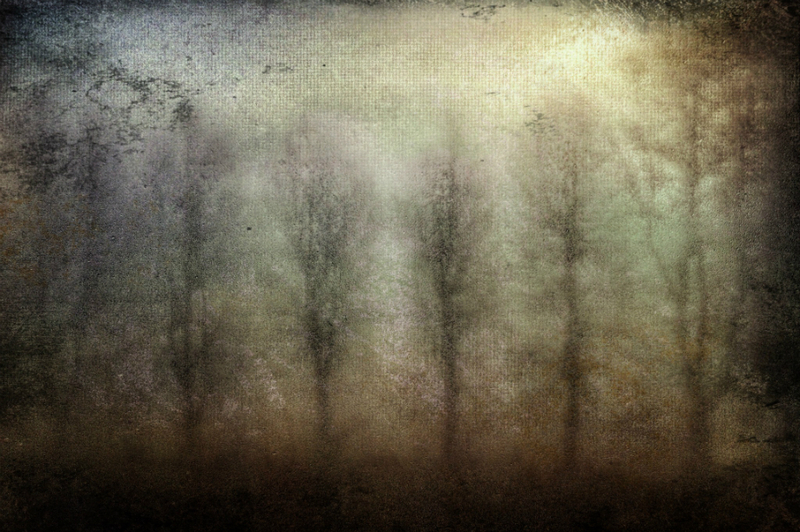 There’s nothing to stop you creating your own textures to reuse in your photos (or even using ready-to-use ones that are available to buy or even free). 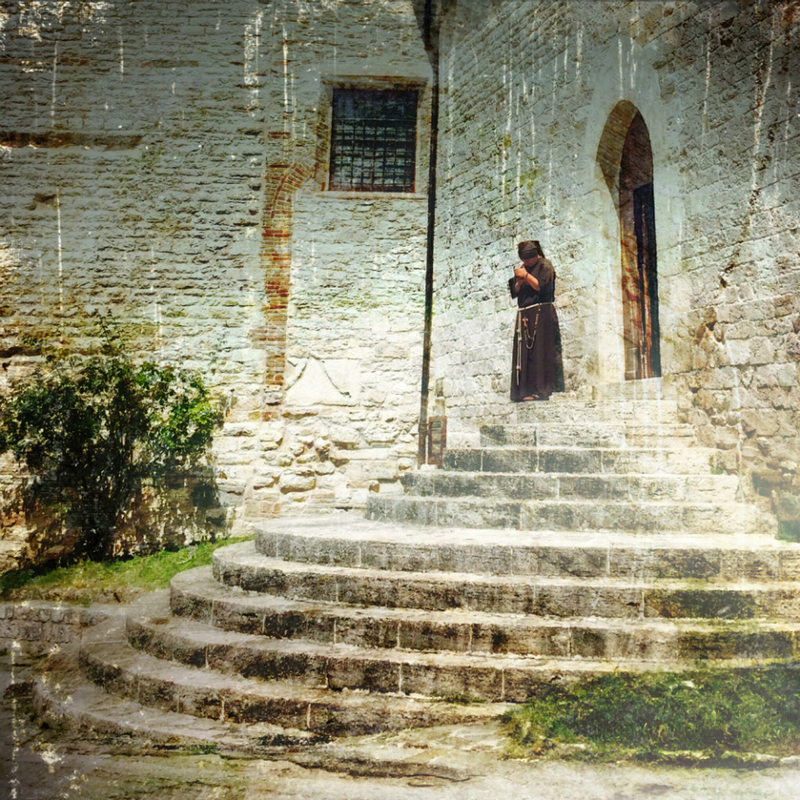 You can use Image Blender to apply a texture to a photo, a simple yet powerful app that combines two images. Image Blender allows you to measure how much you mix the two photos, to choose the type of blending and to create a mask for the area of the original photo to which you don’t want to apply the texture. 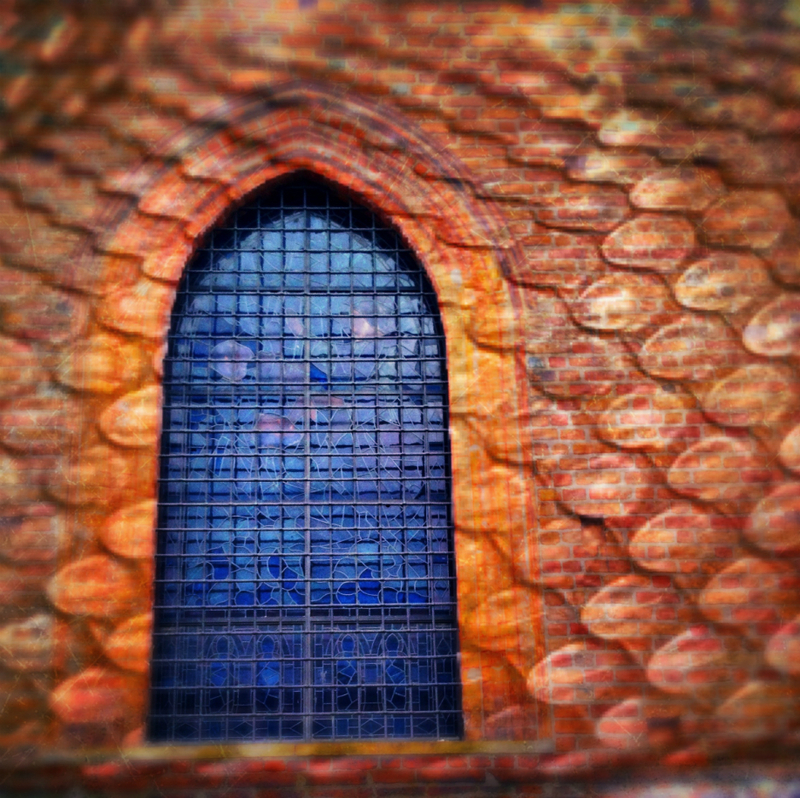 This photo was created by applying a snakeskin texture to the photo of the façade of a church, masking the windows in order to avoid its application in that area. • The glass of a window pane, misted up or wet with raindrops. • Nylon tights, or another transparent fabric. • Any sort of net or mesh. • A sheet of transparent, coloured plastic. For example, this final photo was created using the light at dawn filtered through a mosquito net and a misted pane of glass. I hope that this article helps you find new ways to improve your photographs with filters and textures, but, above all, I hope you enjoy your creative editing.